Based in Manilla, Philippine Airlines (PAL) is the national carrier of the Philippines. With hubs at Ninoy Aquino International Airport and Mactan�Cebu International Airport, PAL uses a fleet of narrow and wide-body Airbus, Boeing and Bombardieraircraft to operate a network of services within the Philippines as well throughout Asia, North America, Australiaand the Pacific. Our editors meet President and CEO Mr. Avelino Zapanta. at an event in Vancouver January 27, 2004 (details and photos to come). The Philippines as a tourism destination was represented at Air HIghways 1st Air and Marine Tourism Conference at Simon Fraser University, Vancouver, and in our popular APEC SUMMIT Edition. With 28 International and 19 Domestic destinations, PAL has always maintained its quest to become a world-class airline for people all over the world. This year, Cagayan de Oro becomes the center of attraction from 26 February to 06 March 2004. The 57th PAL Interclub goes to the "City of Golden Friendship" for the second time in its playing history. Beginning 16 March 2004, PAL flies between Manila and Las Vegas, Nevada via Vancouver four times a week making it the 29th International destination in the PAL network. Fly direct between Manila and Las Vegas from 16 to 31 March 2004 and earn as much as 31,792 miles when flying First Class, 26,616 when flying Mabuhay (Business) class and 17,744 when flying Fiesta (Economy) class. Earn double miles when you fly between Vancouver and Las Vegas from 16 to 31 March 2004. Get up to 5,960 miles when flying First Class and up to 4,968 miles when flying Mabuhay (Business) class. 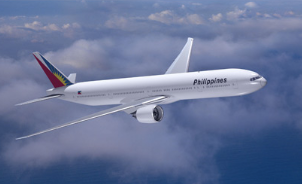 Philippine Airlines (PAL) began life with a noble mission: to serve as a partner in nation-building. With this in mind, PAL took to the skies on 15 March 1941, using a Beech Model 18 aircraft amid the specter of a global war. It became Asia's first airline. Since then, PAL deeply involved itself in shaping the course of historic events. With its every takeoff and touchdown, PAL planted the seed of growth. Now at 61, it has become one of the most respected airlines around the world with a young and modern fleet of aircraft and a route network that spans 28 foreign cities and 19 domestic points. PAL's excellent service has won the hearts of travelers worldwide. This trademark has distinguished it from the pack and has stood guard in an environment that has grown more competitive by the day. But PAL does not sit on its laurels. Realizing that it owes its success to its loyal passengers, PAL launched a campaign called "Call for excellence" to serve its market better. PAL began embracing electronic commerce with the introduction of its Online Booking service that accepts ticket purchases and credit card payments for all flights. A new, improved website was also launched to serve the customers' needs more quickly and efficiently. The future for PAL has never been more promising. Its more than six decades of service has given the airline a greater sense of purpose, a rising pride in its product and a confidence born out of having survived probably the worst. We have special fares from Hongkong to Manila. Please check your preferred departure dates from Hongkong. * Fares quoted above are for round-trip. * Fare is exclusive of surcharges and taxes. * Rebooking and rerouting are not allowed. * Refund service fee for totally unused ticket is HKD500.00. * Partially unused tickets are non-refundable. * Child fare is 75% of adult fare. For other internet fares, please check our "BOOK AND PAY" feature of our online booking facility.